Eclectic Method has mixed up fanciful clips of hackers from movies into this fun little tune. 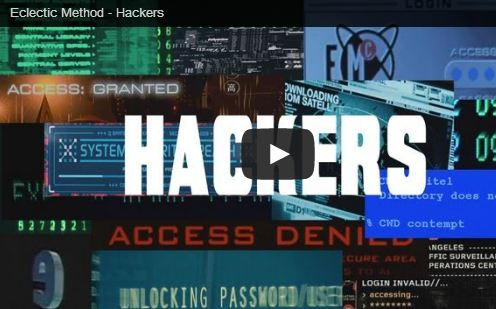 I love how hackers in general are usually portrayed in the movies from Hacking the Gibson, to Shall we play a game there are some hilariously awesome flicks in this montage. By the by the hackers movie soundtrack is still on my playlist, good stuff. You donÃ¢â‚¬â„¢t use the same password over and over right? LetÃ¢â‚¬â„¢s be honest this is the day and age of the hacker. Eclectic Method brings you Ã¢â‚¬Å“HackersÃ¢â‚¬ , HollywoodÃ¢â‚¬â„¢s celebration of basement dwelling 128 bit encryption masters. TheyÃ¢â‚¬â„¢ll shut down before you can trace them, hack into the mainframe and go straight for the kernel, hell they might even insert a worm on the back of a trojan. Keanu Reeves has been one, Angelina Jolie has been one and Matthew Broderick was one before he was Ferris Bueller. Shall we play a game? Spot every movie in this hackisodeÃ¢â‚¬¦.